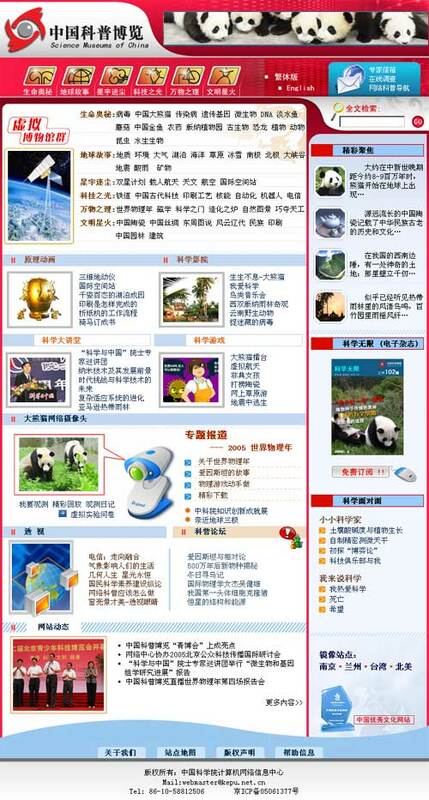 Virtual Science Museum of China was born in Beijing on October 25th 1999. Thanks to all the cares and efforts from our audience and the science workers in Chinese Academy of Sciences, VSMC becomes an upright child, as strong and robust as ever. I hope you enjoy the time spent in the English edition. And we will be happy if you want to tell us your feelings (chenyu@sdb.cnic.cn). Yet the English edition only takes a picture of VSMC in profile. In order to make our child better understood, I would like to show you around the Chinese edition. Later you will be able to go up to Universe, down to Ocean, back to thousands of years ago. So wear you most comfortable shoes and come with me. In total the Chinese edition have 60 virtual museums, belonging to 6 exhibition areas– Principles of the world, Story of the Earth, Mystery of Plants and Creatures, Worlds beyond the Earth, Light of Science and Technology and Sparkle of Chinese Culture. Stop Four: Ceramic Game Stop Eight: Do a physical experiment!